This is a little more like it for those calm days during our winter months. 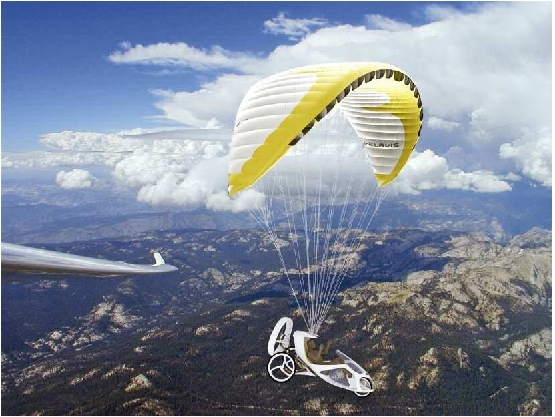 Velavis is a flyke—a relatively new mobility concept that is a cross between a recumbent bicycle and a motorized paraglider. It combines the advantages of each of these forms of transport, thus offering the pilot a new dimension in mobility and independence. 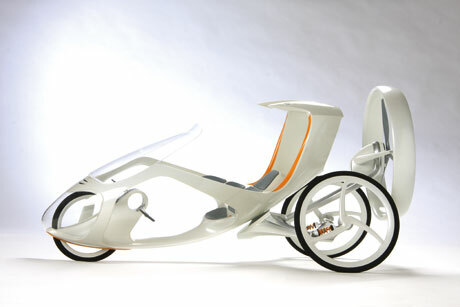 The Velavis Flyke is an concept design for an electric Flyke. As with the original Flyke you can enjoy the comfort and simplicity of this Aircraft and also use it on the road to get to your airfield or plan trips. 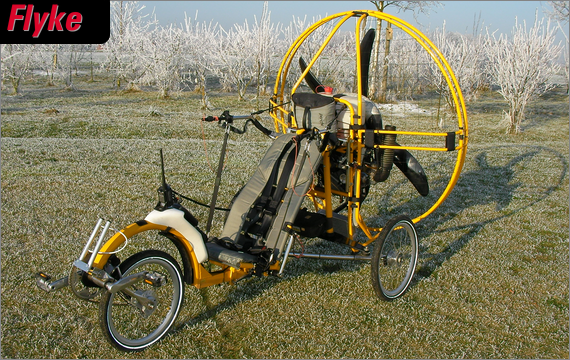 This trike is famous for crossing whole countrys while flying and cycling over boarders. You take your tent with you and camp right there where you land and go on the next day. Landing out on a field and cycle to the next gas/ petrol station. Flyke” in action – it’s a flying bike that can be pedalled (or propeller powered) on the ground, and flown in the air. The author of this video flew from Land’s End to John O’Groats, UK in the summer of 2009 (www.flybike.co.uk), landing in random fields every couple of hours, cycling to petrol stations to refuel and then taking off again from nearby fields. Landing about 30 times altogether during the trip, and raised £17000 for charity.